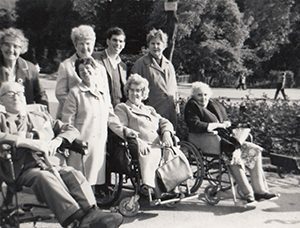 Throughout 2017 Disabled Living celebrated 120 years of delivering services. 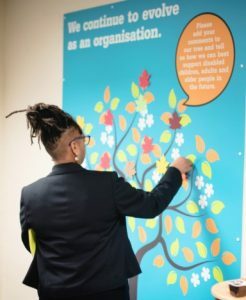 This was a phenomenal achievement from what started out as a small Manchester based charity originally called the Band of Kindness to a charity providing services throughout the UK and further afield. 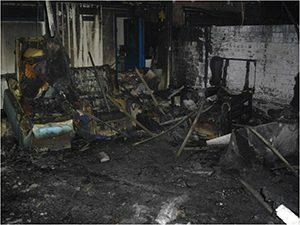 Debra Evans, Chief Executive: As a result of a major fire in 2009, Disabled Living lost all its older archived material. However, a totally unexpected phone call a couple of years ago changed all that. We were delighted to hear from the son of an ex employee who had worked for Disabled Living in the 1960’s. 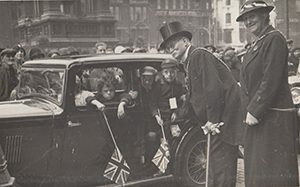 Unfortunately, his mother had recently passed away and while he was sorting out her house, he found a number of boxes in the attic of photographs and memorabilia relating to Disabled Living. We are very thankful to Mr Valentine who realised the importance of what he had discovered. If it wasn’t for his mother ‘hoarding’ as Mr Valentine put it, I would not be in a position to share our heritage with you in 2017. The Charity was established as the Band of Kindness, to encourage children to be kind to animals and in turn their fellow citizens. 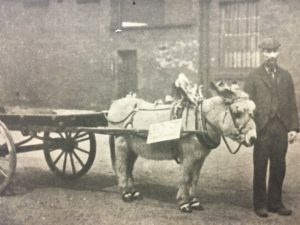 The charity organised an annual Donkey parade. 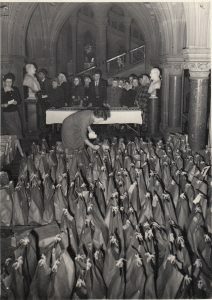 The Society changed its name to ‘The Crippled Children’s Help Society’ and distributed Christmas Hampers to home bound crippled children. 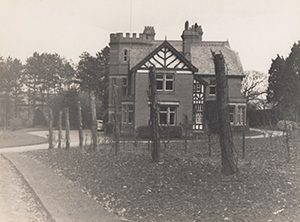 A building was rented called ‘Peacefield’ in Marple as a respite facility with 7 rooms. Demand was such, that in 1913 a larger property was built. 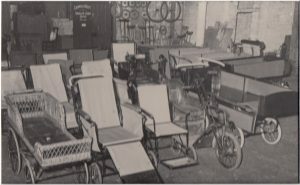 The Society organised the first of many motor trips for crippled children. This event went on well into the 1940’s. 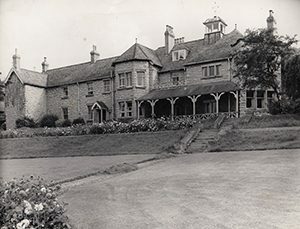 A larger property was built in Marple, this was to be known as the Country Nursing Home. This had 30 beds and cost £13,500. A workshop was opened to offer occupation work and handicrafts to crippled youths. 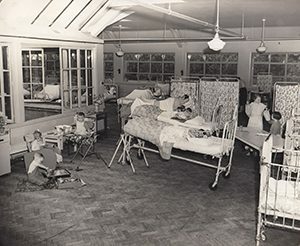 The Country Nursing home became the Children’s Orthopaedic Hospital. 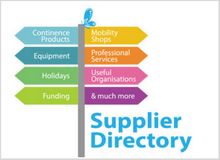 The organisations involvement with specialised equipment developed. This section of the service was known as ‘aids and appliances’. The society changed its name to ‘The Cripples Help Society’, due to the nature of the work changing and involving more adults. 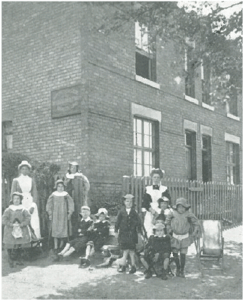 The children supported in the early years were now adults. 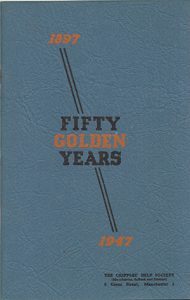 The Charity celebrated its Golden Jubilee and to mark the occasion a commemorative booklet was written. The Children’s Orthopaedic Hospital was transferred to the Ministry of Health. ‘Tan-y-Bryn’ in Abergele was purchased as a ‘Home for Cripples’. 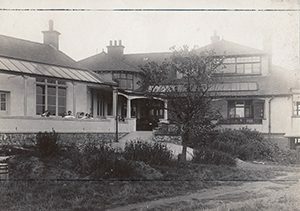 ‘White Heather’ in Old Colwyn was taken over by the charity as a respite home for crippled children. 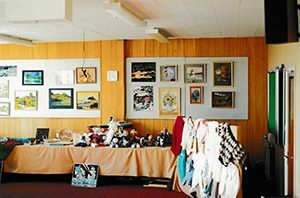 The Society’s work continued with the addition of providing holidays, outings and craft classes. 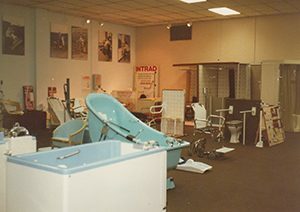 The ‘Aids Centre’ was launched to showcase equipment. 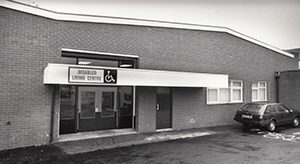 This later became the Disabled Living Centre in 1983. 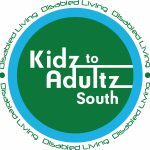 Another name change to Disabled Living Services, as the previous name became offensive and was no longer politically correct. The charity also moved to a more accessible building at Redbank House in Cheetham. The new premises were officially open by the Duchess of Gloucester. 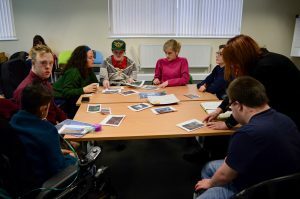 The services of Disabled Living Services expanded to include training, continence service, extended occupational therapy services and craft classes. Yet a further name change, to our current name – Disabled Living. The reason being that the charity was being confused with health and social care services. 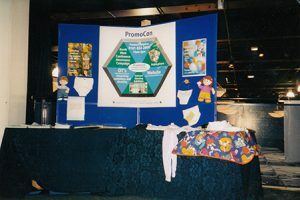 The national PromoCon service was established to support people with bladder and bowel problems with funding from the Department of Health. Disabled Living celebrated its Centenary birthday. There were various fundraising activities and celebrations, including a ‘Butterfly Ball’. 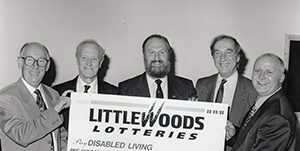 In October this year, the charity received the news that a bid to the National Lottery had been successful. The grant was the largest in the North West at £708,000. Work commenced on a new extension to Redbank House to create community spaces and a larger sensory room. Kidz up North was launched at the Reebok Arena in Bolton. The event focused on providing information and advice to disabled children, their parents, carers and the professionals who support them. Further developed, Disabled Living’s ‘Ways to Work’ services to support disabled people to find employment. ‘Open for Business’ was officially launched by Earl and Countess of Wessex to help businesses comply with DDA. A major fire at Redbank House. 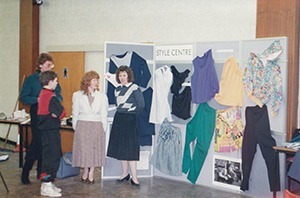 Disabled Living’s services were moved into temporary accommodation. All our archived materials were lost. 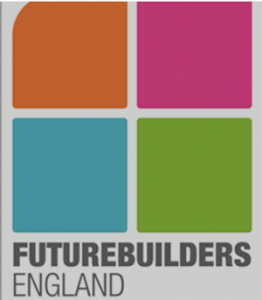 Disabled Living secured a £680,000 investment package from Future Builders and the Social Investment Bank to develop a purpose designed ‘Centre of Excellence for Assistive Technology’ based at Worsley, in a partnership with Salford City Council. 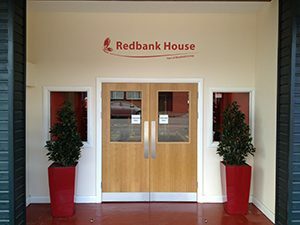 In October the Refurbishment of Redbank House was completed following the fire two years earlier. 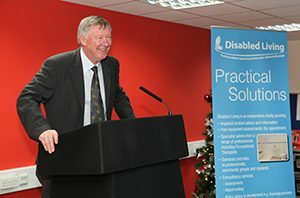 Our new Centre in Worsley was officially opened by Sir Alex Ferguson. The team had moved into their new headquarter the previous year. 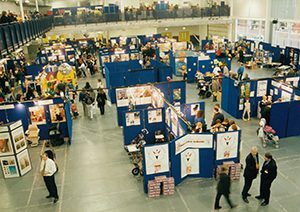 Re-branding of the Kidz Exhibitions to Kidz to Adultz Exhibitions to mirror the changes to the 2014 Children & Families Act, which now supports young adults up to the age of 25 years. 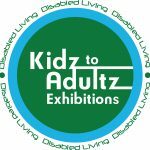 Between 2007 and 2016 Disabled Living established a further 4 exhibitions to support people from all corners of the UK – Kidz to Adultz South (est. 2007), Kidz to Adultz Middle (est. 2009), Kidz to Adultz Scotland (est. 2014), and Kidz to Adultz Wales (est. 2016). 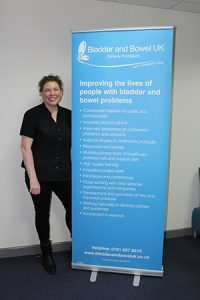 The PromoCon service changed its name to Bladder and Bowel UK. 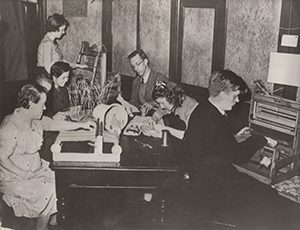 Throughout 2017, Disabled Living celebrated 120 years of providing services. With the support of a Heritage Lottery Fund grant, we embarked on a number of projects to capture the charity’s heritage including the activities and events below. Lots of volunteers participated and gained new skills. 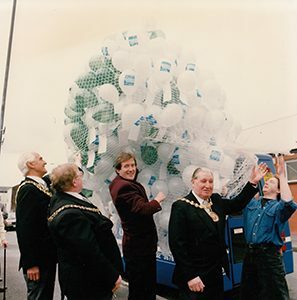 More information on our 120 year anniversary can be found here. Sign up to receive our monthly e-newsletter to keep you up to date on Disabled Living’s developments.